Following the Christmas Eve tragedy in Toronto where four construction workers fell to their deaths after a scaffolding they were working from collapsed, the Ontario Ministry of Labour announced it will check for hazards involving suspended platforms at construction sites during an enforcement blitz starting in mid-January. The government reminds industry parties to protect workers from hazards that cause workers to fall, a statement issued by the ministry said. The ministry released a hazard alert on the fundamental safety procedures for suspended platforms. Inspectors will also begin a heightened enforcement campaign targeting fall hazards in the construction sector. 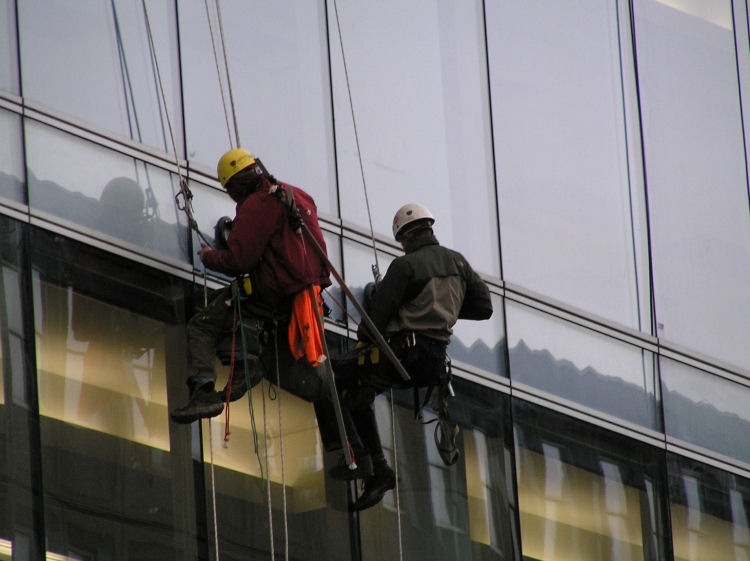 As part of regular inspections, they will look for compliance with fall protection requirements, including appropriate fall-related equipment and adequate worker training. Inspectors will have zero tolerance for non-compliance, the ministry said. The review will be completed within 90 days. This initiative is part of the province's Safe At Work Ontario strategy. The strategy takes a broad approach to improve workplace health and safety practices through education, training, and enforcement of provincial legislation and regulations. Since 2005 Ontario has doubled the number of full-time occupational health and safety inspectors, bringing the total to 430. A 2008 falls blitz visiting 704 construction projects resulted in 3,262 orders, 336 stop-work orders and 1,455 forthwith orders, according to the Ministry of Labour. • training on the erection and dismantling procedures where the workers are involved in these activities. • that is securely fastened to the suspended platform or suspended scaffold, if all or part of the platform or scaffold has more than one independent means of support and the platform or scaffold is so designed, constructed and maintained that the failure of one means of support will not cause the collapse of all or part of the platform or scaffold. • Every swing stage (suspended platform or suspended scaffold) must meet all the applicable requirements of the Construction Regulation and specifically sections 137 and 138. • The platform must not be overloaded. • Equipment must be maintained in a condition that does not endanger a worker. • Equipment must be used in accordance with any operating manual issued by the manufacturers. • In addition to the above requirements, every suspended scaffold that consists of more than one platform, and every suspended platform that weighs, together with its components, more than 525 kilograms, must be designed by a professional engineer and erected in accordance with the design drawings. A professional engineer must inspect it prior to its first use and issue a written report in regard to the inspection. The constructor must keep a copy of the design drawings and the professional engineer’s written inspection report on the project while the suspended platform or suspended scaffold is on the project. • Employers must ensure that the equipment, materials and protective devices are maintained in good condition. • Suppliers of machines, devices, tools or equipment under any rental, leasing or similar arrangement must ensure that the items are maintained in good condition, if it is the supplier’s responsibility under the rental, leasing or similar arrangement to do so. • Suspended platforms or suspended scaffolds must be inspected prior to each day’s use by a competent worker if it is operated by mechanical power and at least once a week by the supervisor or a competent person appointed by the supervisor.